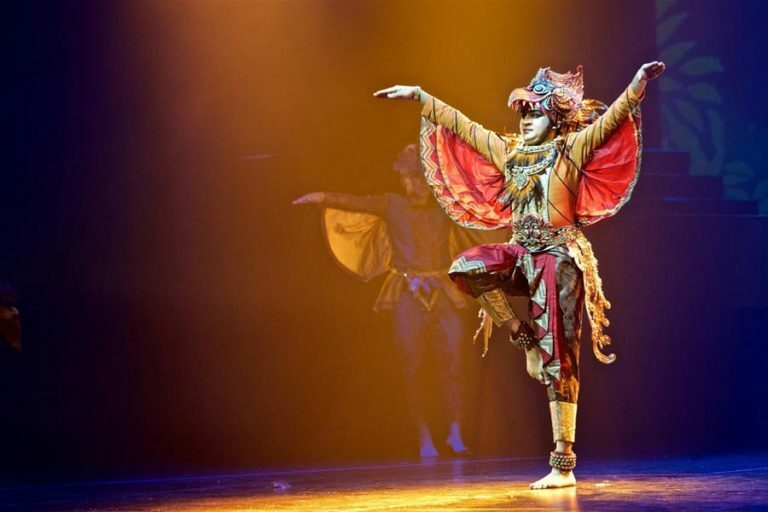 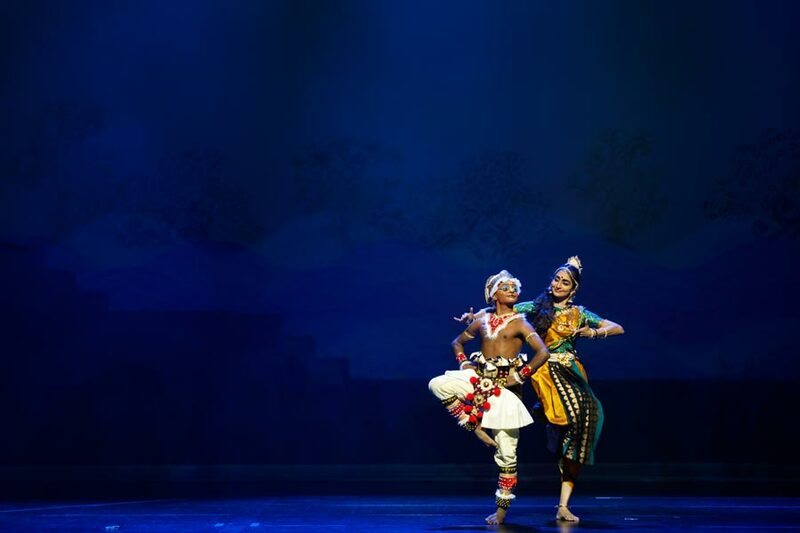 For centuries, the ancient Indian epic The Ramayana has captured the imagination of Asia with its universal themes of righteousness, love, loyalty and frailty. 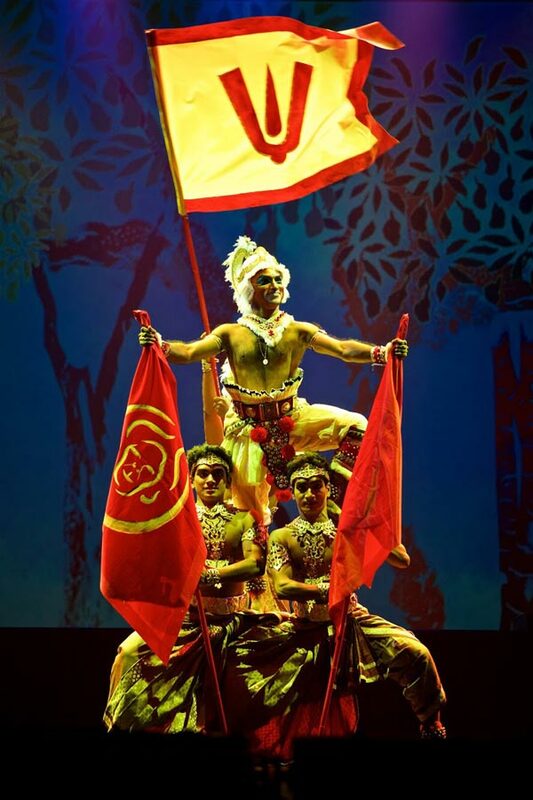 One of the most beloved characters in the story is the monkey god Hanuman, who plays a crucial role in Prince Rama’s quest to rescue his wife, Sita, from the 10-headed demon king Ravana. 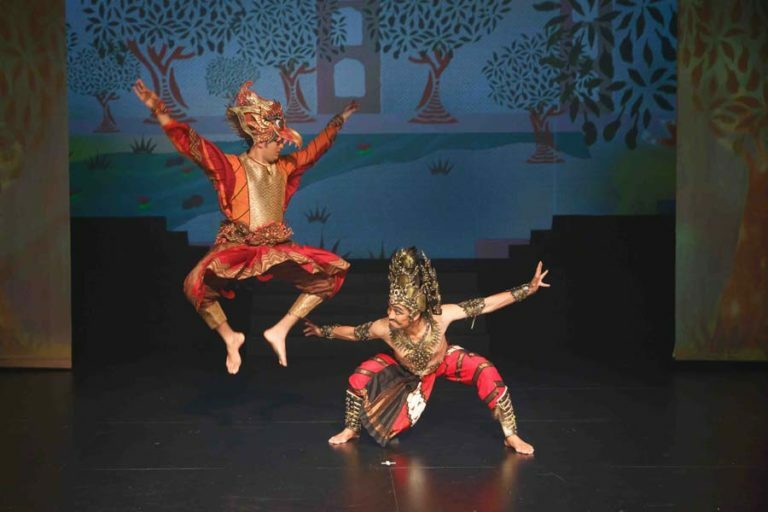 Follow the life and adventures of Hanuman, from the time of his birth, to his meeting with the exiled Prince Rama, and to the heroic battle against Ravana and his forces. 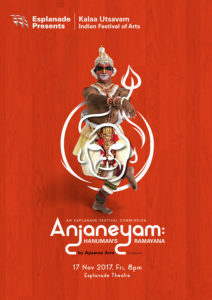 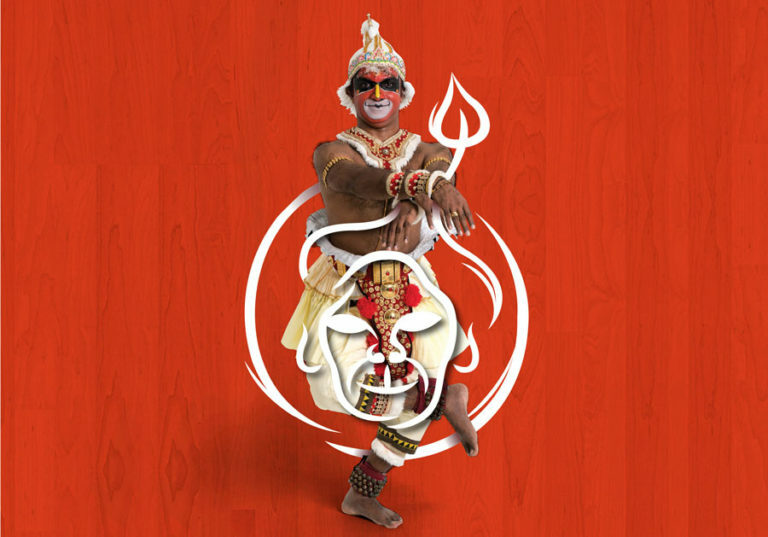 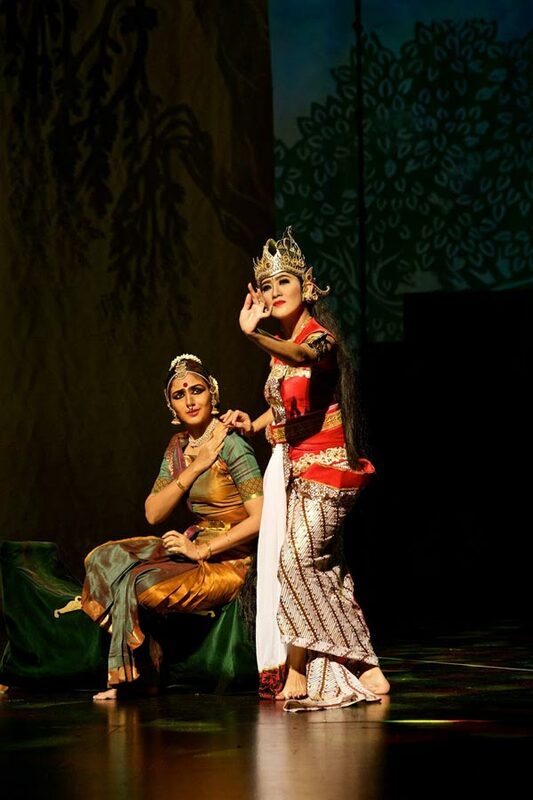 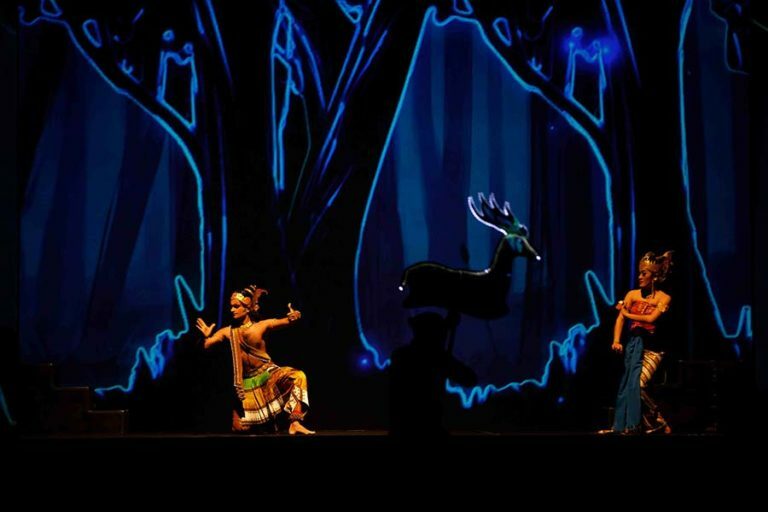 Watch the story unfold through dance and music, and bear witness to the birth of The Ramayanawhen Hanuman encounters its author Maharishi Valmiki.